A comprehensive three days training course covering IEEE 1076 VHDL standard and IEEE 1164 Standard Logic standard as well as implementing the VHDL coded Digital Design into an FPGA. All aspects of VHDL are presented with special focus on using VHDL for top-down design with synthesis and simulation. Three-days training course that will introduce you to FPGA architecture as well as how to plan your design to take advantage of the FPGA features.A large part of the course is dedicated to write HDL code, run simulation, optimize and implement the design into an FPGAs. Undersanding the Sw/Hw paradigm of SoC-FPGAs. Use of the Vivado/SDK tools to design a complex digital system. Creation of your custom IP Core. 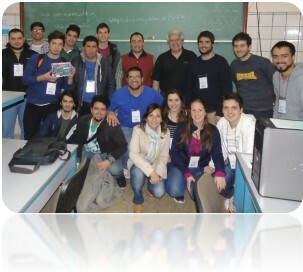 Official INTEL FPGA Training Partner for all Latinamerica.